Makuhita in game: 9,309 Who? Important notice! Pokemon Makuhita is a fictional character of humans. Makuhita is very gutsy and never gives up, no matter how many times it is knocked down. Energy is built into its body each time it rises back up. Broken trees often surround its nest, because it trains by slamming into them. 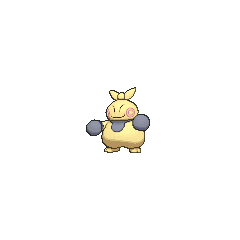 This Pokémon eats lots of food and gets plenty of sleep. Its rigorous training and lifestyle give it a sturdy body able to withstand any attack. Its signature move is Smelling Salts, and Arm Thrust is a former signature move. It is found living and training in mountainous areas. 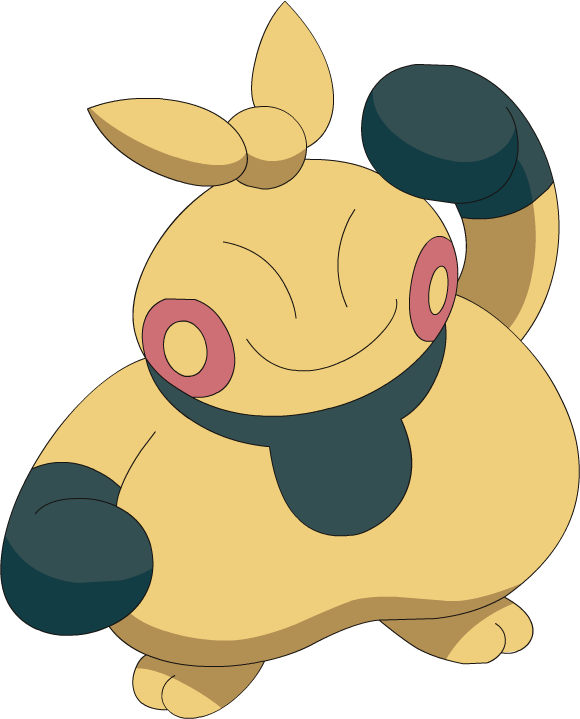 Makuhita first appeared in Brave the Wave as one of Brawly's Pokémon. During the Gym battle, Makuhita evolved into a Hariyama. Sheridan had a Makuhita in Cheer Pressure. A Makuhita appeared in A Battle by Any Other Name!, under the ownership of the Berrybaker kids. A Makuhita also appeared in Pinch Healing! under Matt's care. A Makuhita made a cameo in Queen of the Serpentine as a pet belonging to Lucy. Kendall trained a Makuhita belonging to the Pokémon Summer Academy in Camping It Up! Two Makuhita made a brief appearance under the ownership of a Trainer in the Lily of the Valley Conference in An Old Family Blend!. A Makuhita appeared in a flashback/fantasy in The Forest Champion!. Two Makuhita appeared in Mega Evolution Special III, including some of them belonging to the Trainers. A Trainer's Makuhita appeared in A Giga Battle with Mega Results!. Three Trainers Makuhita appeared in Alola to New Adventure!. Two Trainers' Makuhita appeared in SM006. 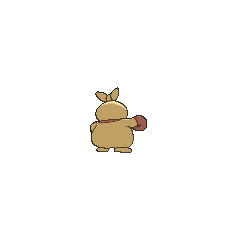 A Trainer's Makuhita appeared in SM007. 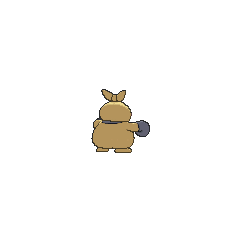 A Trainer's Makuhita appeared in SM013, where it participated in the Pancake Race. A wild Makuhita appeared in The Cavern, where it was running away from a storm which a Primal Kyogre was involved. Makuhita first appears in Pokémon Adventures under the ownership of Brawly, who like in the games and anime, is Brawly's signature Pokémon. 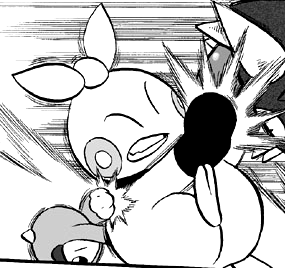 Brawly used it in his Gym battle against Sapphire and it fought her Lairon, Rono, and managed to defeat it in battle. 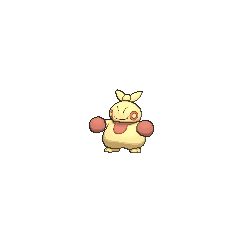 It then fought her newly evolved Combusken, Chic, and despite evolving into a Hariyama was unable to defeat the challenger.